This border was planted in March and already looks good in May – with a few accidental tulip bulbs that survived the revamp! u&i garden can source and deliver a lorry-load of perfect plants so you can create an instant garden! Of course, if you already have a particular plant in mind, you can order it though one of the many online shops or simply visit your local garden centre. 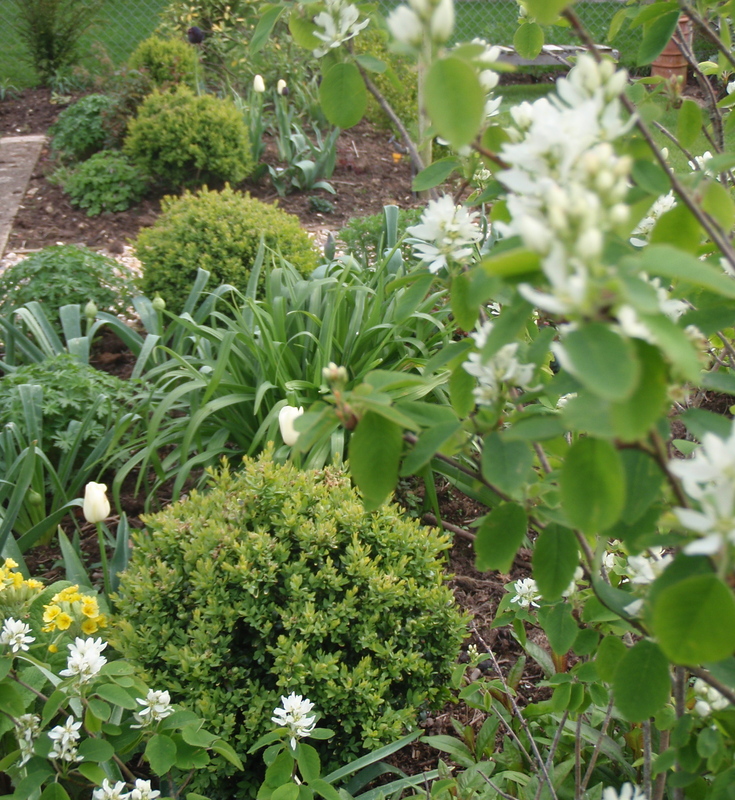 But if you would like a beautifully co-ordinated variety of great plants to arrive on one lorry, Ground-Force-style, so that you can develop a whole border, or even a whole garden at once, u&i garden can provide the perfect service. Many of the plants we use carry the RHS AGM (Royal Horticultural Society’s Award of Garden Merit) which means they are the best within their category. Most are grown within the UK, though some are imported from Holland and Southern Europe. We do our very best to be environmentally responsible. 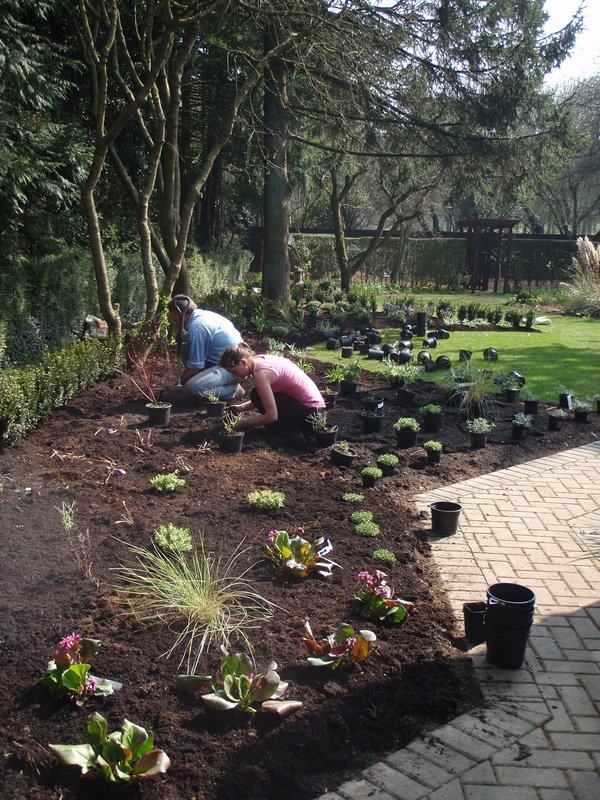 u&i garden only supply plants that are hardy within most of the UK, that will grow and improve over several years. We do not currently supply annual bedding plants (plants that only last one season) as we believe it is much less wasteful (and less labour intensive) to plant species that enjoy and thrive in British conditions and that can support our wildlife long-term too. Help with laying out the plants is optional but recommended. A quote will be emailed to you with details of the size and number of plants that will be supplied. Phone u&i garden now on 01980 842709 for more info.